Hyderabad, Feb 26: It can be said that there won't be a better moment for Nandamuri fans than Balakrishna and NTR coming on one stage. 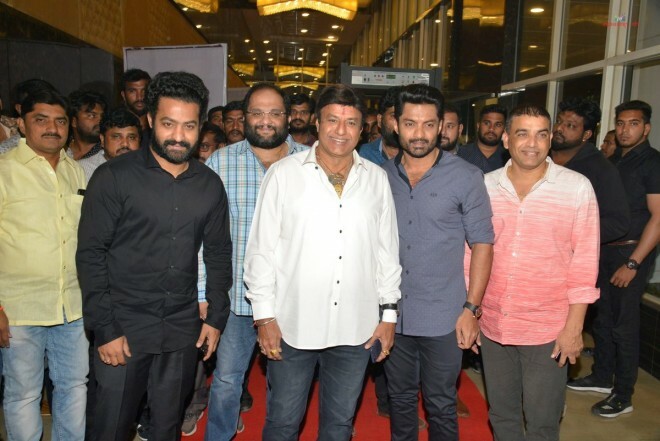 The much awaited moment for fans happened on Monday evening when both the Nandamuri stars attended the '118' Pre-release event as the Chief Guests. However, none of the Nandamuri heroes appeared excited on the stage. Balakrishna who is a grifter at the public events appeared moderate and very dull. He couldn't speak much about the Kalyan Ram's upcoming thriller. NTR maintained a serious mien throughout the event. His speech also lacked the energy associated with his speeches in general. There is not a mention of NTR biopic anywhere. The event looked like a failure meet of 'Mahanayakudu' rather than the pre-release event of '118'. Balakrishna seemed to be truly ravaged at the Mahanayakudu's failure.